[LONDON] HSBC is cutting more than 2,200 jobs in Britain, targeting senior and middle management roles as part of its drive to slash costs and boost profitability in the face of a changing banking landscape. In total, 3,167 jobs will be affected, but almost 1,000 of those employees will be redeployed to other jobs. The net job loss will be 2,217, HSBC said. The redundancies will mainly affect HSBC's retail bank, plus head-office functions and some other areas. A first wave of layoffs - part of chief executive Stuart Gulliver's plan to shed 30,000 jobs globally by the end of 2013 - cut almost 7,000 staff in 2011. That left HSBC with some 288,000 employees at end-December, including 52,000 in Britain. The majority of UK staff leaving in the coming months will be senior or middle managers, the bank said. Few customer-facing employees would be cut and that its UK retail branch network would be "largely unaffected". 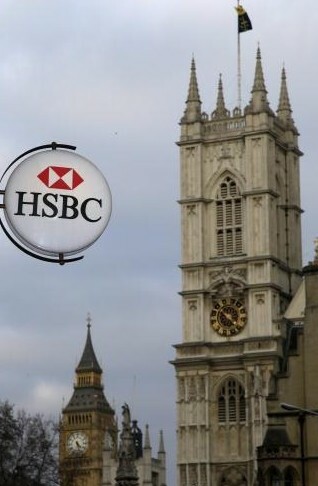 HSBC said it was targeting "unnecessary bureaucracy" and reducing layers of management. Mr Gulliver has also said he wants to streamline the bank for changes in British regulation. About a quarter of the staff cuts are related to the impact on business from the Retail Distribution Review - a change to the way banks charge retail clients from next year - HSBC said.